Ed Sheeran has a lot of tattoos. For those who only know Sheeran by his music, this might come as a surprise, but it’s true. He has so many. More than most friends of Taylor Swift. If not all! He may even have more than most professional athletes! I know. It’s an amazing fact about Ed Sheeran. Is this just a post about how Ed Sheeran has tattoos? you ask, too incredulously considering how clear I’m being. Yes, that is what it is. If you want to read a review of Ed Sheeran’s new album, Divide, go here. 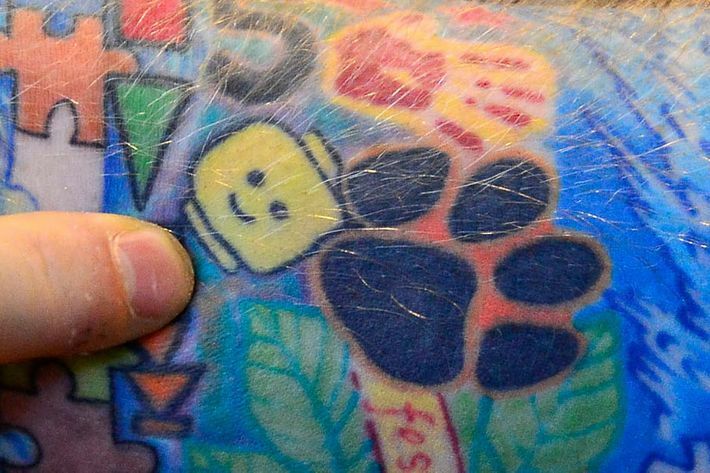 If you want to see pictures of Ed Sheeran’s many tattoos, keep reading. 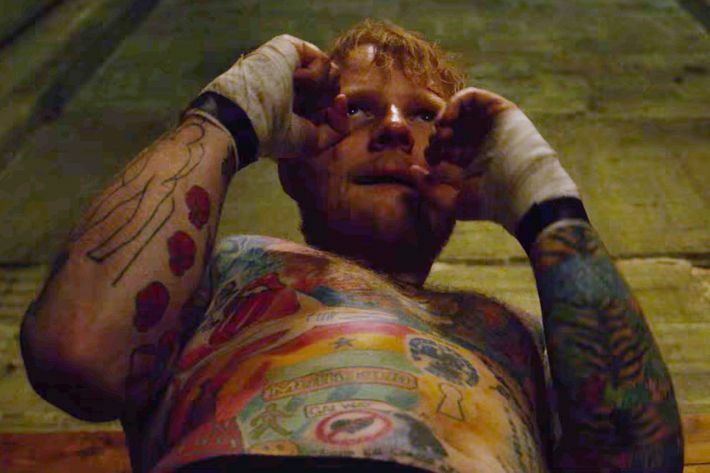 (Actually, keep looking, at the tattoos on Ed Sheeran’s body). Like, he has this big tattoo of a lion. I’m not lyin’. I would never. This post is #TrueNews. Ed Sheeran has tattoos. Here is another tattoo of an animal. It’s a koala. 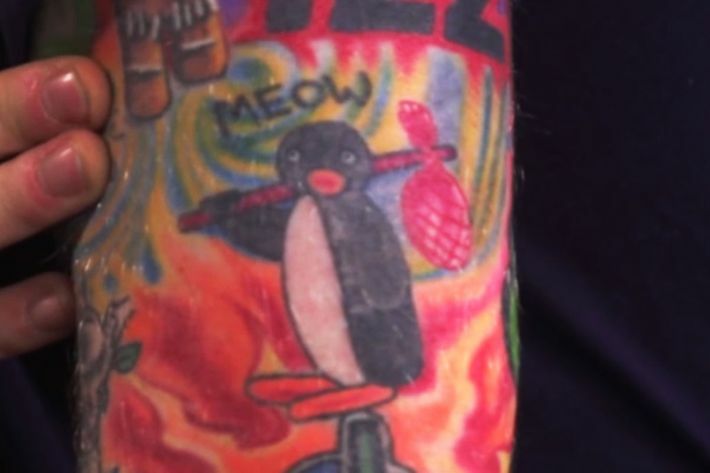 This is a tattoo Ed Sheeran has. 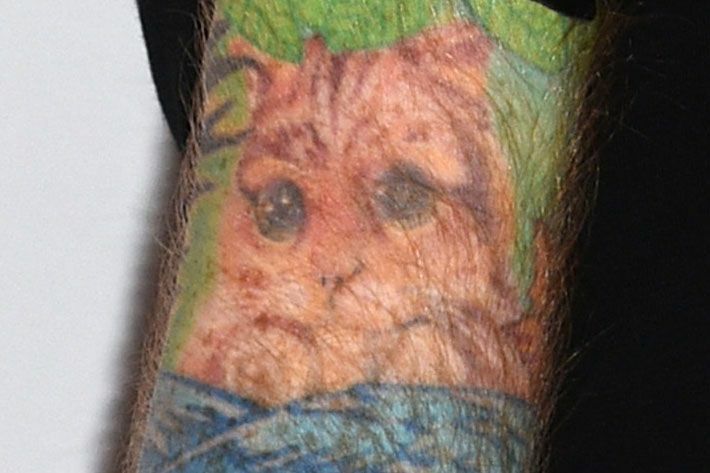 “Puss in boots relates to a song called ‘Wake Me Up,’ where I talk about Shrek.” This is a real quote, by the owner of this tattoo: Ed Sheeran. Harry Styles also has this tattoo. Two friends, with this tattoo. 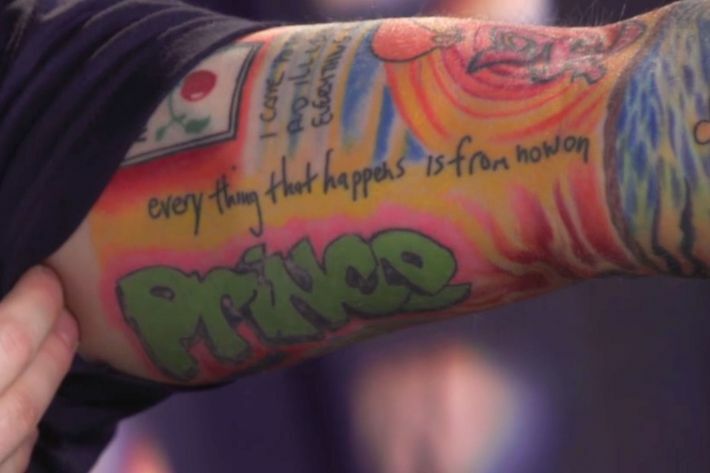 "everything that happens is from now on"
A tattoo of a lyric is one of Ed Sheeran’s tattoos! The words are from a Bon Iver song, in Mr. Bon Iver’s handwriting. This is a true fact about one of Ed Sheeran’s tattoos. Ed got a tattoo to remember his tour with Snow Patrol. 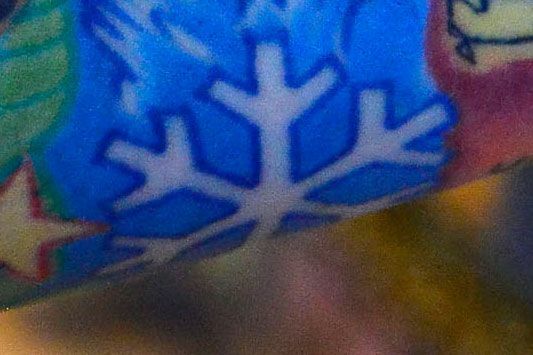 It’s a snowflake. 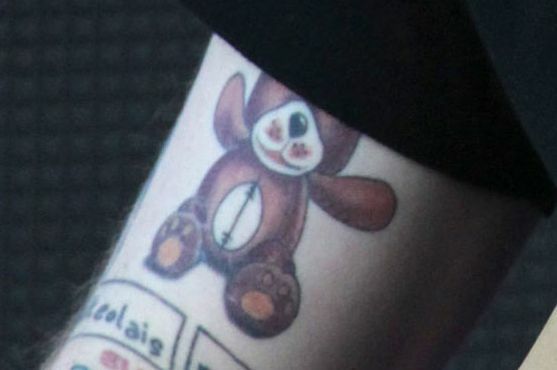 The tattoo Ed Sheeran got to remember his tour with Snow Patrol is this tattoo. 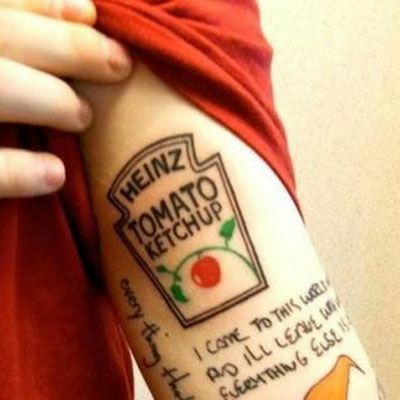 Ed got this tattoo because of his childhood nickname. It’s a Teddy Bear. His nickname was “Teddy” because it rhymes with Eddy, which is long for Ed. It wasn’t “Bear.” Bear doesn’t rhyme with Eddy. 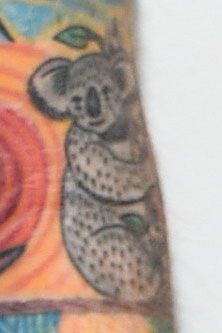 This tattoo of a tree is on Ed Sheeran’s arm! Ed says he thinks he knows what this Japanese symbol means. We know what it means: That he has a lot of tattoos! 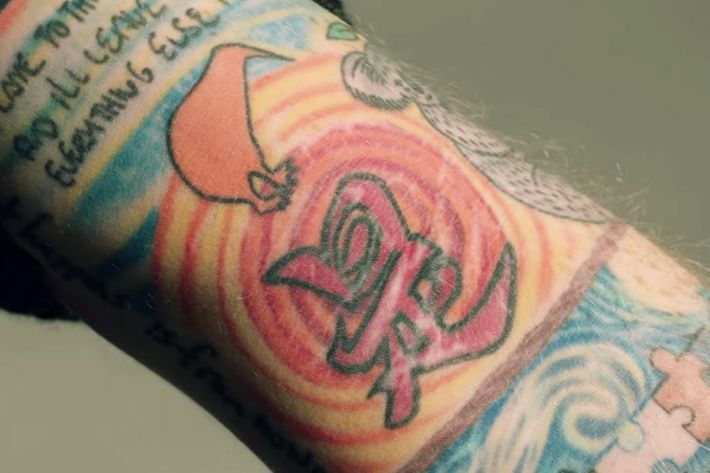 This is another tattoo that Ed Sheeran, singer of “The A Team,” got on his body. 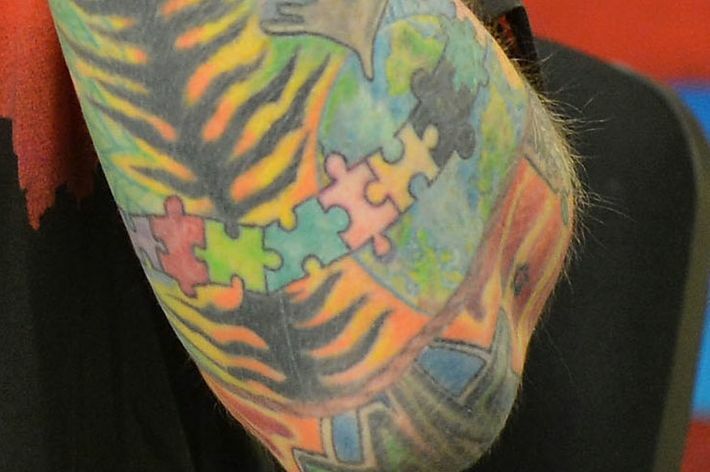 A tattoo of a decapitated Lego. Why did he get this? He went to Legoland. 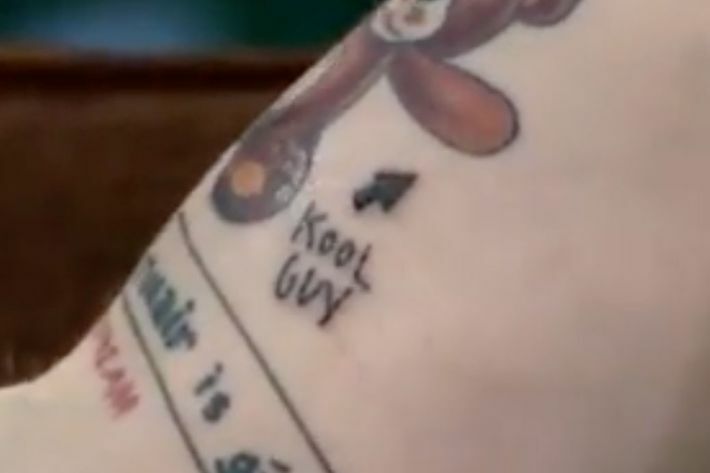 John Mayer gave him this tattoo. 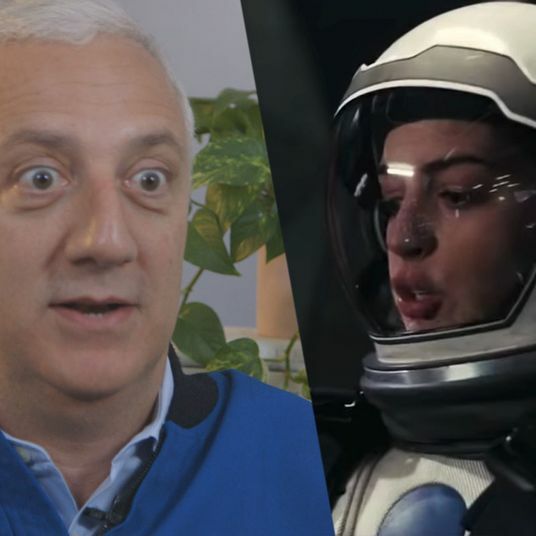 John Mayer gave it to him. 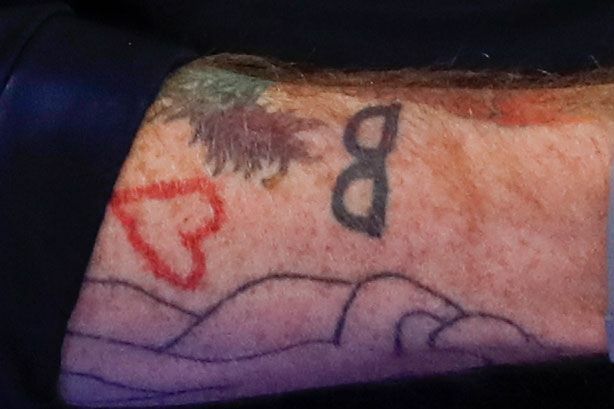 So, yes, Ed Sheeran has a lot of tattoos. I think that much is clear.